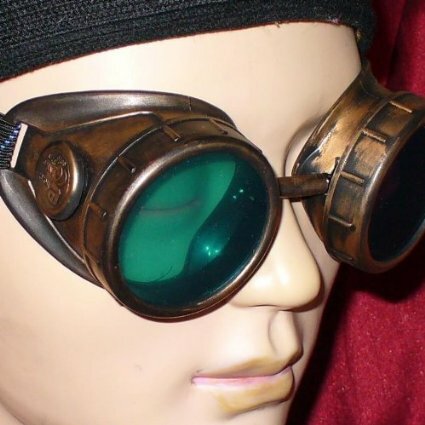 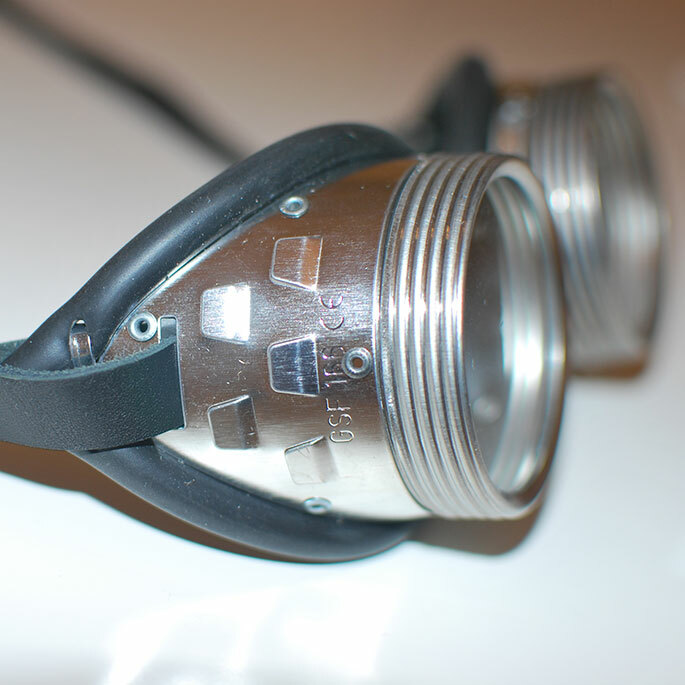 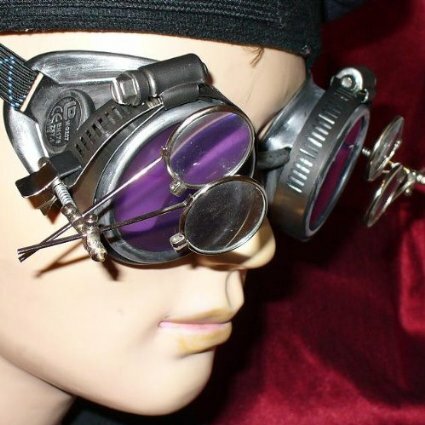 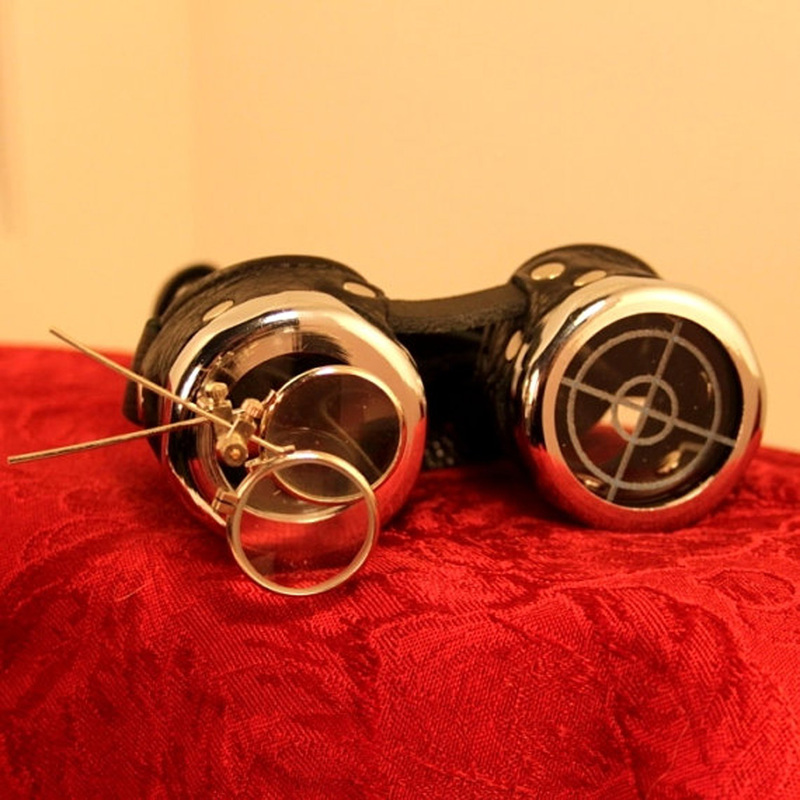 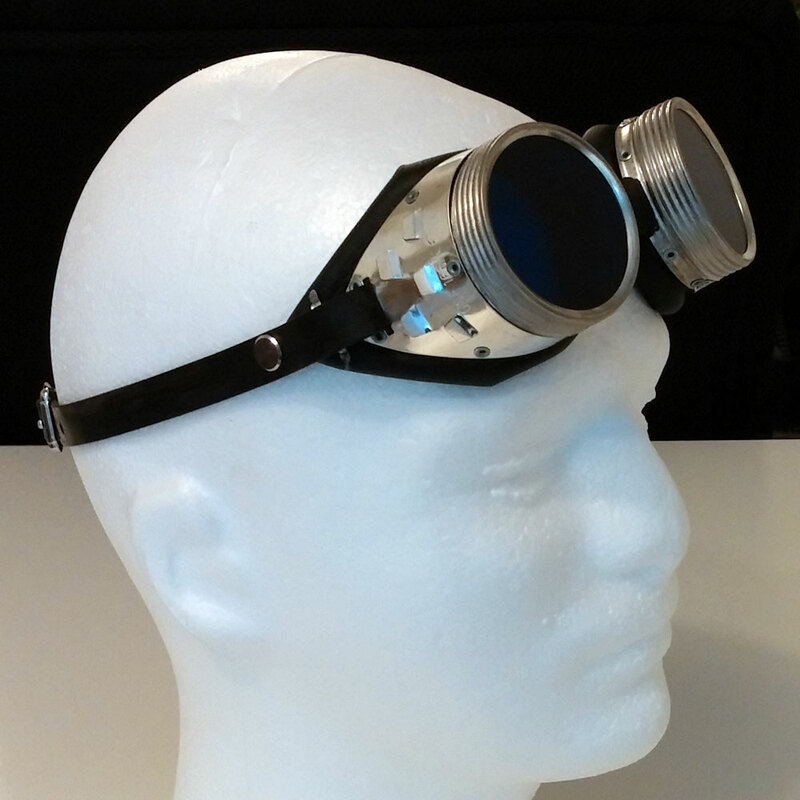 These goggles are made out of real metal hardware, including steel eye cups and nickel rivets and buckle. 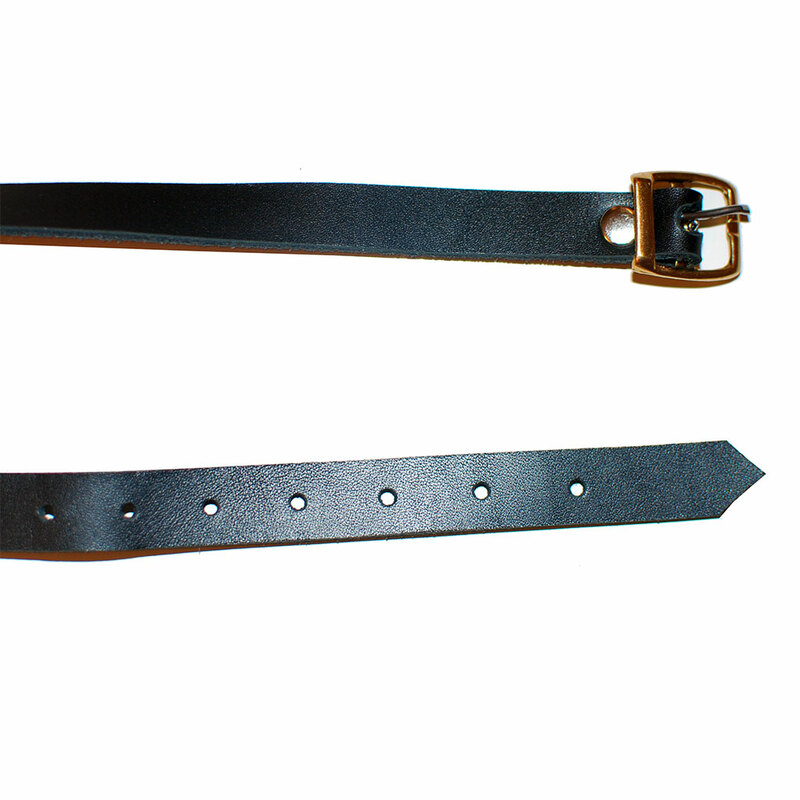 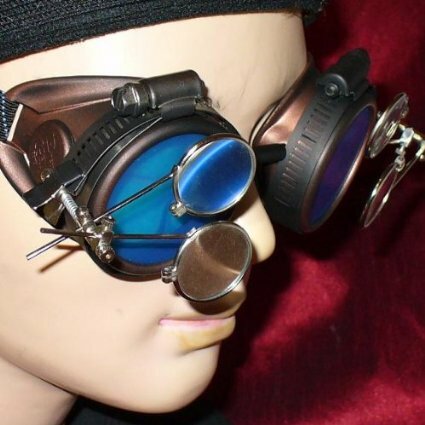 The strap is made from genuine cowhide and the lenses are a futuristic blue. 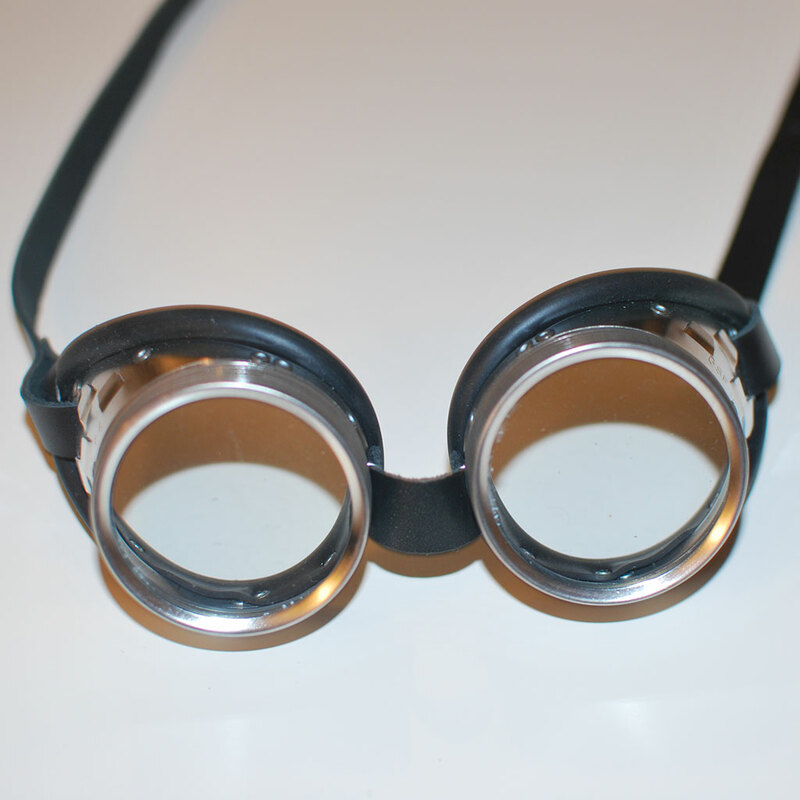 These are great for adding some personality during cosplay! 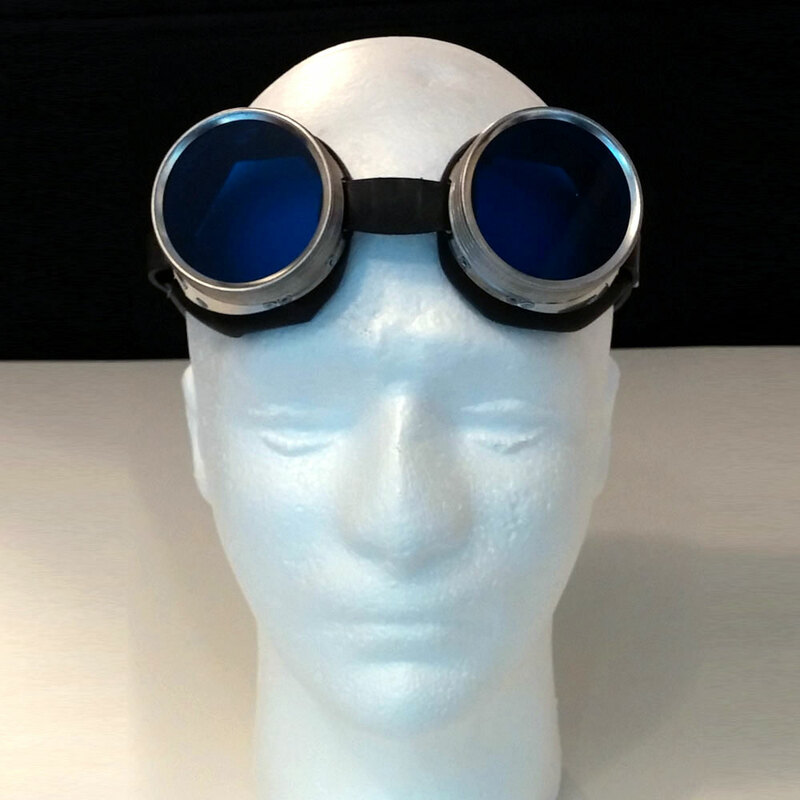 Don’t like blue? 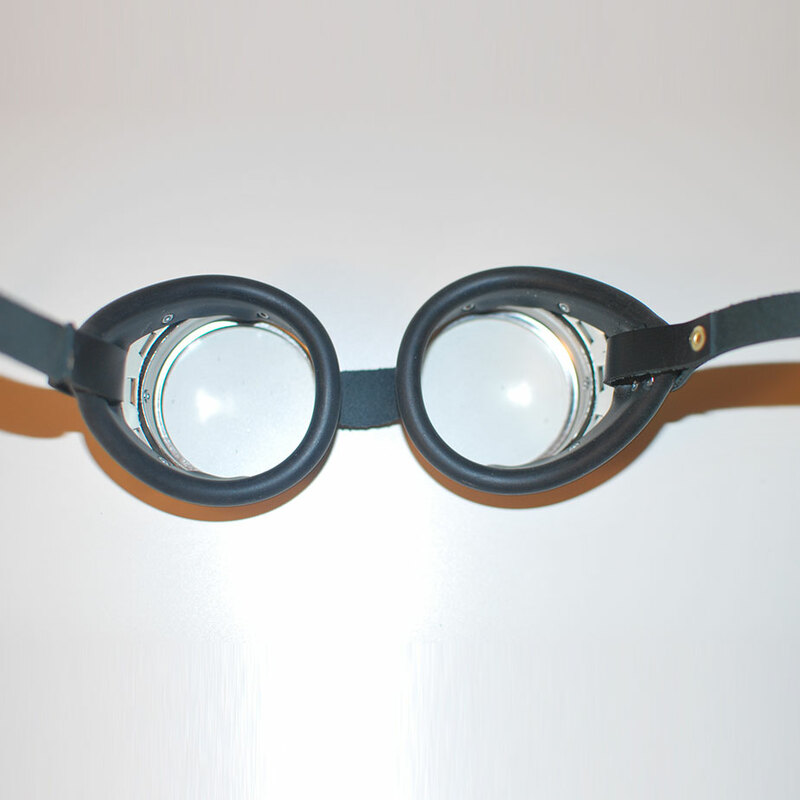 Try some of the other lenses we carry, or pick up a full set of different colors to choose from. 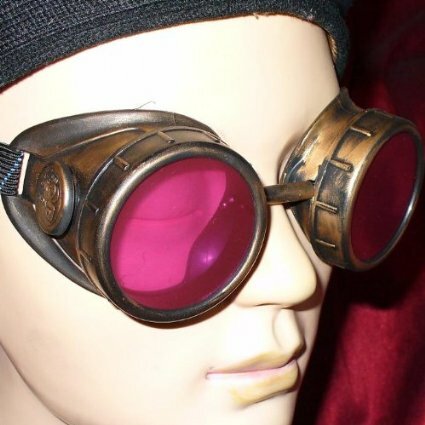 Be the first to review “Metal Goggles With Blue Lenses & Leather Strap” Click here to cancel reply.